Starting at $1! 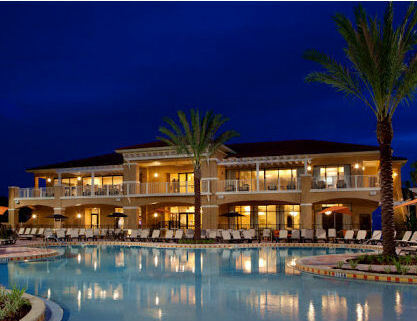 - Fantasy World Club Villas in Orlando, Florida Near Disney - May 4, 2019 - Bid on a 7 Night Stay in a 2 Bedroom Suite! To see if you have won, please login. Enjoy 7 Nights in a 2 Bedroom Suite at the Vacation Villas at Fantasy World in Orlando, Florida Near Disney! This offer is based on current availability and is not valid for the Pay Now Travel Later option. All travel requests should be completed within 24 hours of the auction end time. Failure to submit travel dates within the allotted time may prevent the offer from being fulfilled. The Vacation Villas at Fantasy World Resort is located in Kissimmee, the heart of the Orlando area, and is composed of Mediterranean Style two story villas. The resort is located on U.S. 192, approximately three (3) miles from Walt Disney World and is convenient to many of the area's attractions including Sea World, Universal Studios Florida, and Downtown Disney all within a 15 minutes drive. Resort amenities include three swimming pools, whirlpool, two lighted tennis courts, basketball court, volleyball court, playground, and a game room. Jet skiing is nearby, and 10 fine restaurants are within walking distance. Transportation to area attractions is available. FantasyWorld just completed a $14 million renovation. This beautiful new area will include a zero entry pool, 2 new 5 story water slides, lazy river, and kiddie splash zone. The new pool area also includes two hot tubs – with different temperatures, a double sided fireplace for gatherings, and sprawling pool deck and enhanced pool bar – serving lite fare. Cabanas complete with TVs and refrigerators are available for guests to rent on a daily basis. Your 2 BEDROOM SUITE will accommodate up to 6. Each two-bedroom townhouse offers a fully equipped kitchen, washer/dryer, and screened patio. Fantasy Surf, the indoor surfing wave is an additional fee. Bid price is per unit. First possible travel day is 3 day(s) after submission of travel preferences.